N. 5, December 2000: "Intelligent Design - the Modern Argument"
Let’s face it: creationists don’t have an easy time claiming academic superiority over their opponents. 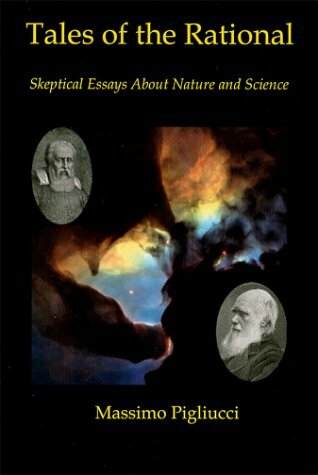 As much as they call themselves “scientific” creationists (essentially an oxymoron), and despite the existence of the Institute for Creation Research (whatever that is), and even of creationist museums, anybody can see that the credentials of most creationists are as good as those of a car salesman. Yet, there is a group of creationists (who don’t actually like being labeled as such) that is trying—with some success—to make headway in the academic world, or at least with the media and some relatively high ranking politicians. Meet the Intelligent Design (ID) movement, perhaps the most sophisticated attack on modern science mounted so far. Not so fast. There are a few things missing from Behe’s scenario which are worth considering briefly. First, he has not done his homework. Contrary to what he repeatedly claims in his book, biologists have done a bit of research on the evolution of biochemical pathways, and there are several known examples of bacterial flagella that are simpler than the one Behe conveniently uses. It doesn’t take a rocket scientist (or a biochemist) to figure out that in fact these simpler versions could easily represent intermediate steps toward complex flagella. Second, it is not true—again contra Behe—that biochemical pathways are assembled in a way that one cannot take any element away without having the whole system collapsing. In fact, most of genetical research is based on the ability to produce mutations that knock down certain genes (and therefore certain components of biochemical pathways) while still yielding a functional organism to be studied. One of the major discoveries of 20th century molecular biology (which Behe must have somehow missed) is that organisms are not irreducibly complex at all; rather, they show redundant complexity: they are made of several parts that have no unique and irreplaceable function. As biologist Francois Jacob put it, this is exactly what you would expect if natural selection worked like a bricoleur rather than a cunning engineer. A bricoleur is somebody who assembles new things out of old parts that are easily available. The result is bound to be complex, redundant, suboptimal, and not too pretty. Exactly like living organisms, and precisely what you would expect from a natural phenomenon. No intelligent design required. and why it is so difficult to be a skeptic"
Kenneth Miller’s web site at Brown University: how to debunk Behe in a few strokes of the keyboard. Michael Behe’s own web site. 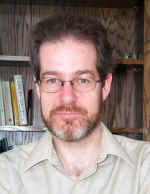 For more debunking of Behe, visit Niall Shank’s web site at East Tennessee State University.